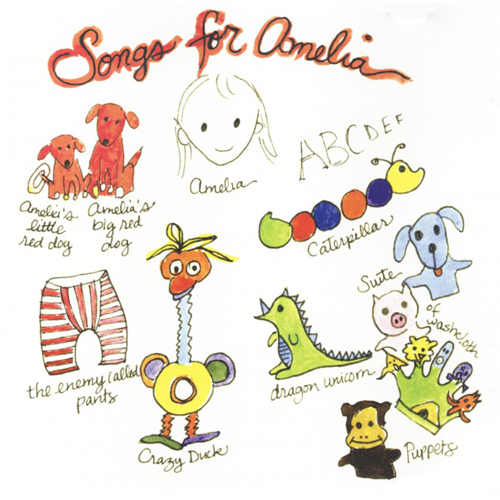 These are songs inspired by Amelia’s first two years of life. Nerissa, Amelia, and I holed up at Sackamusic just before Amelia’s bedtime on July 9. We made Dave stop mixing our record long enough to capture this music. Our plan for this did not include anything you hear, but once we were in front of a microphone and near a drumkit, Amelia got inspired. After the session, Dave went back to mixing. Nerissa, Amelia, and I went back to the house to put Amelia to bed. That’s when “One More Song” was born. I hope you have as much fun listening as we had recording.